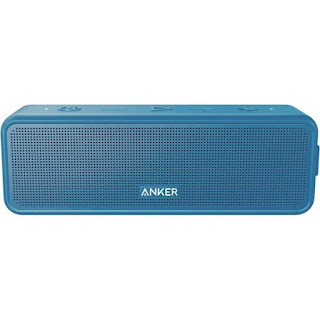 Today only, while supplies last, get this Anker - Soundcore Select Portable Bluetooth Speaker for ONLY $29.99 (Retail $49.99)! Enjoy rich stereo sound with this powerful Anker Soundcore speaker. High-sensitivity drivers provide breathtaking clarity, and a patented bass port makes for distortion-free low frequencies. This Anker Soundcore speaker has a lightweight yet robust design and uses Bluetooth 4.0 technology that supports connectivity within a range of up to 66 feet.